Welcome to my new blog where I want to show you all my work, my processes, my ideas, artists I love, products and books I'm using, etc. etc. etc. I thought I'd start the blog at my starting point in my journey into the world of embroidery and illustration. 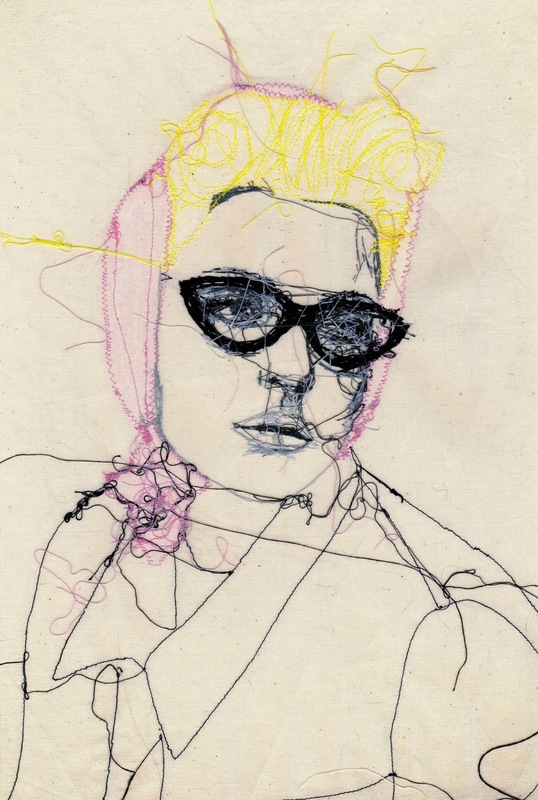 One of the first (and probably the best) stitched pieces I created was this portrait of Jessica Stam, a combination of a hand embroidered face and everything else machine stitched. This year I'm hoping to create work more work that can emulate this and to expand my range. I hope you stick around for the ride. Louise Marie Jones 2015. Simple theme. Powered by Blogger.